Welcome everyone to the Derbyshire BCC Area. The Derbyshire Area covers all the boundary of Derbyshire. We are an area of the British Caravanners Club which is a section of the Camping and Caravanning Club. The Derbyshire BCC Area has been going for over 30 years with many more years to come. Our area is run by a committee which you can see on the committee page. We welcome feedback and comments from others. We have weekend meets, five day meets and temporary holiday sites (THS) from March until end of October. We encourage more people to join our club, and if you ever decide to camp with us, then please do not hesitate to ask our area chairman or any of the members of our committee for a form with membership details. To join the BCC it cost’s £5.00 on top of your annual camping and caravanning club membership fee. 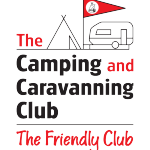 When you j0in you will receive a programme which includes every BCC area of all of the meets of the year and copies of the Caravanning magazine written by members for members. It includes photographs from events, news of events and much more. We have a group on Facebook. Come and have a look.